September 19, 2018, Vancouver, B.C. 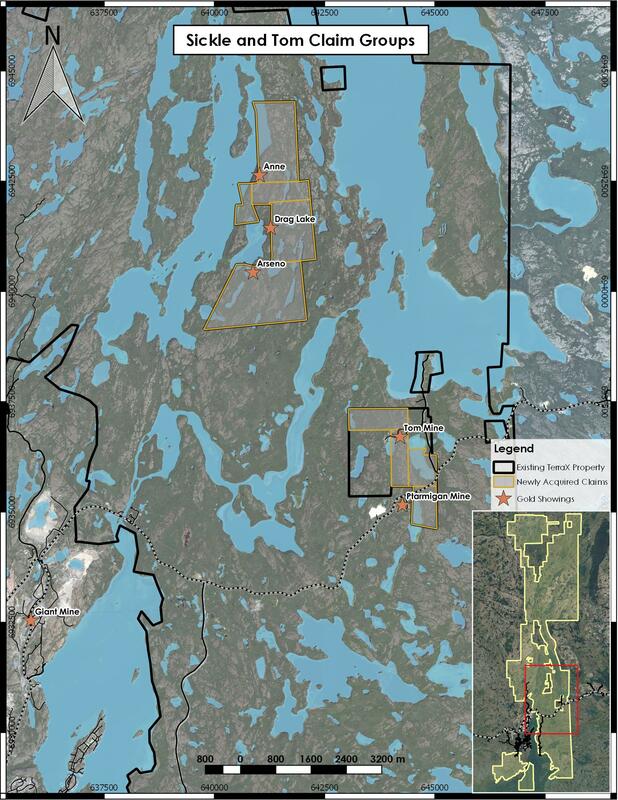 – TerraX Minerals Inc. (TSX-V: TXR; Frankfurt: TX0; OTC Pink: TRXXF - https://www.commodity-tv.net/c/search_adv/?v=298245) is pleased to announce the purchase of a 100% interest in the Tom Mine (6 sq km)and Sickle (2 sq. km) properties from Altamira Gold Corp. These properties increase the area of the YCGP from 772 square kilometers to 780 square kilometers. A map of the property locations is availablehere.